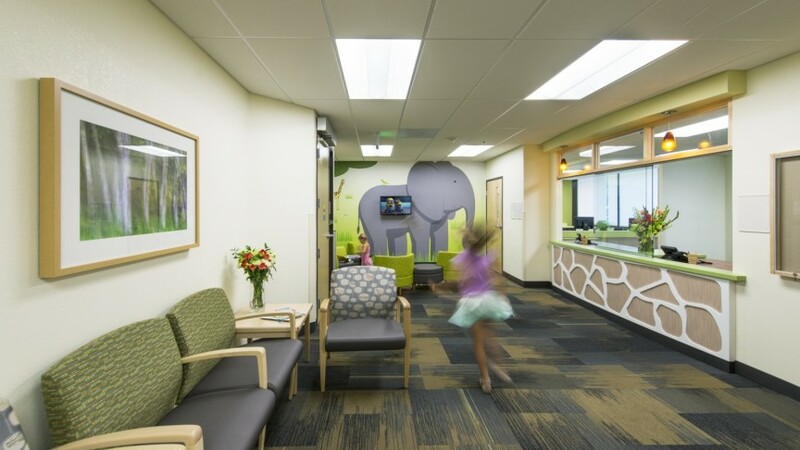 This 2,000 s.f. 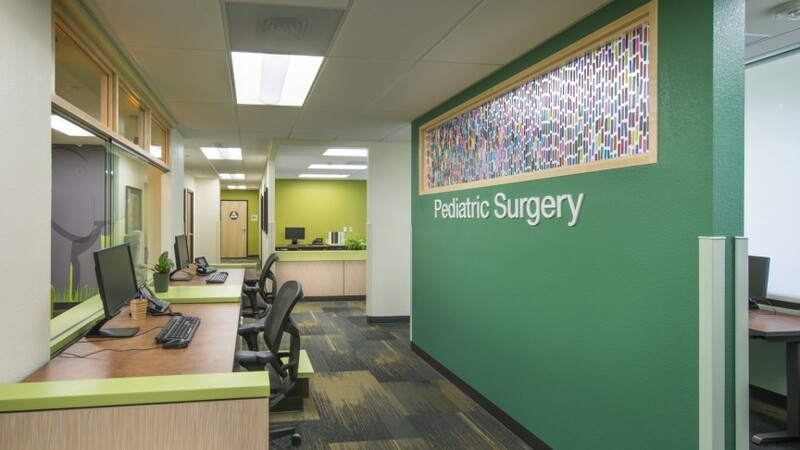 remodel was designed to appeal to children of all ages. 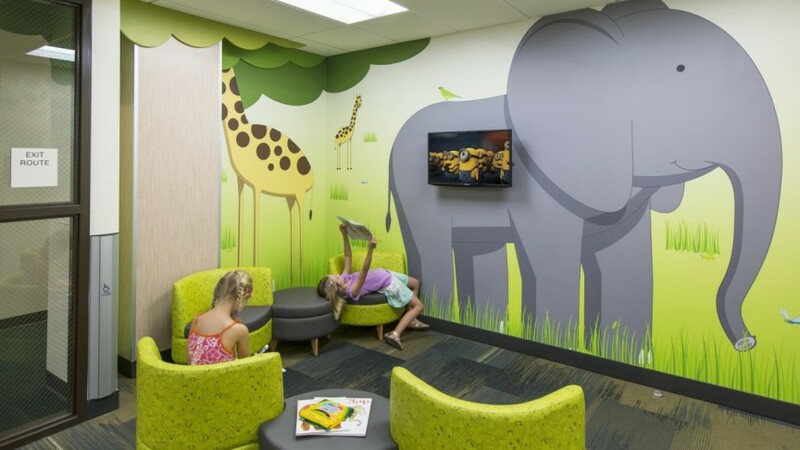 The jungle themed clinic provides a fun environment to help curb patient anxieties. 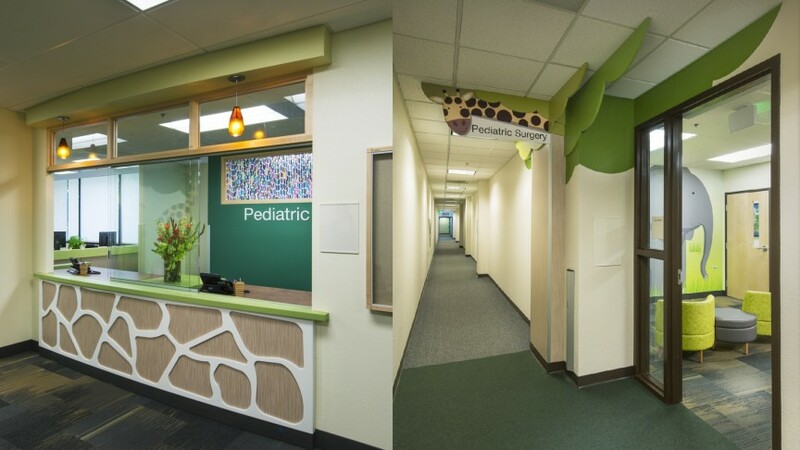 Friendly giraffe faces serve as playful wayfinding tools, helping visitors navigate through the suite, while vibrant colors and textures bring life into the space, creating an uplifting feel to comfort patients and their families.